It Must be Kismet -- Oops -- Hizmet - CHARTER SCHOOL WATCHDOG http://www.charterschoolwatchdog. "The Disorganization of the Organization"
For those of us who are not native Turkish speakers, "Hizmet" refers to the organization and service to the organization (or as I like to refer to it -- old fashioned servitude). 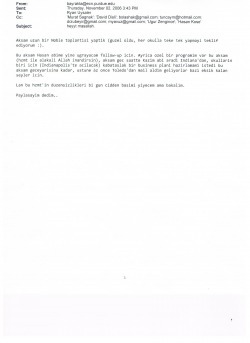 The organization refers to Gulen's network of schools. In this instant case, it looks like one of the "brothers" is upset about the lack of "organization" within the organization. 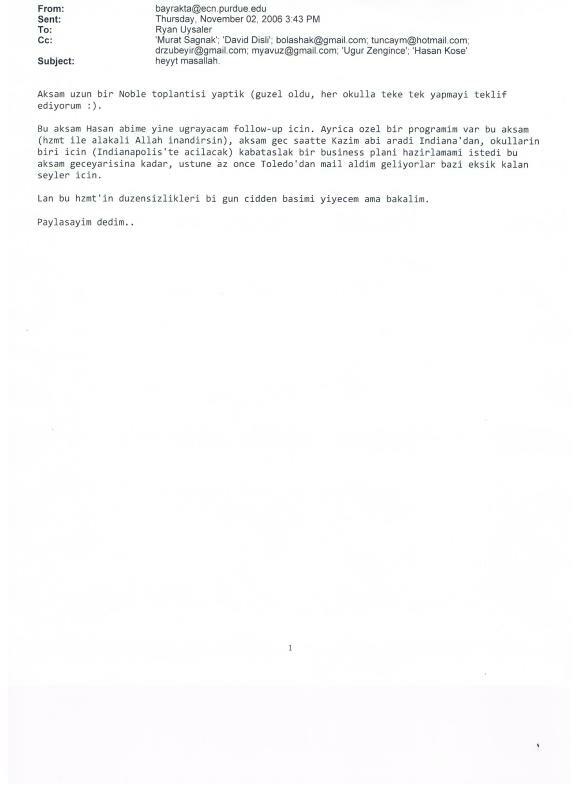 Again, note how the original email to the school Directors is in Turkish and the reference to brothers, no mention of an American or woman anywhere -- perhaps that could be the problem with the lack of "organization" in the American funded schools to which they are referring to. And as a side note, the author, Bayaktar, is the same guy who once served as the Board President (not sure on how many different schools), is currently sitting on the Board of the "organization's" for-profit real estate holding company, and whose wife was also the President of the Denison school board. Maybe his frustration stems from his many "jobs," and keeping them all straight. Tonight we had a long meeting about Noble (it was good and I recommend to make it for each school one by one). I will go to Hasan Brother to follow-up. And, I have a special program tonight (it is for Hizmet, believe me), Kazim brother from Indiana called me late last night, he wanted to prepare a business plan for one of the schools (it will be opened in Indianapolis) until midnight, and they are coming from Toledo to finish up the last details. One day the disorganization of hizmet is going to be a problem for me.